Both courses looked fairly balanced to me. After walking both, personally I preferred the West Course for the RX8 as it was sweepy with no major slowdowns (meaning the RX8 would stay in its power band) and there was a long, fast slalom at the end (which I love). The East Course had one pin turn with a huge acceleration zone afterward. We brought a good fight on day 1, and I was leading by 3 tenths of a second on the East Course. The car felt fantastic. Unfortunately, day 2 brought dampening conditions on the West Course just for our heat, and it was also cold. We have very little experience with Hoosier Wets, but have always been told to only use them if it is puddled on the course, so we opted to stick with the A7s. JV/Evan opted for Wets for 2nd runs, despite there still being no puddles. We struggled to get any heat (no heat) into the A7s and conditions were getting more slippery. The wets, likely due to tire squirm, managed to get some heat into them, and on Evan's 3rd run he laid it down with an amazing run to take the lead overall (he's also an incredibly smooth driver, so not sure any of us were going to touch that time!). By second driver, 3rd runs, the rain started coming down more heavily, and we switched to wets for only my final run. In much worse (now puddled) conditions, I managed a time just a tenth off of my first run on the A7's in much better conditions, so my best guess is that we should have switched to the Hoosier Wets much earlier. We learned a hard lesson about tire choice on Day 2, and I slipped to 2nd place by just 1 tenth of a second. My fiance and codriver Andrew also won his first ever National's trophy (set the pace on day 1 and didn't lose it day 2) !!! Despite the tough Day 2, I'm really excited about how the car felt at both the Pro Finale (took the L1 season win) and in the dry on Day 1 of nationals. We softened the car up a little from last year and raised the ride height, and the car sweeps much better now (last year, after watching how well Kuhn's car swept compared to ours, we knew we needed to make a change) and also works similarly well on both asphalt and concrete (last year the car was fantastic on asphalt but sucked on concrete). The bigger tires we fit are still a toss up - I think the car sweeps better but accelerates worse (8lbs/corner weight penalty is no joke) so who knows if they're faster. We haven't done a back to back. For next season, we are going to chase more power through tuning (haven't optimized our timing yet), try to get a little more weight off the car (maybe lighter brakes, depending on if I get a good bonus at work! ), and continue tuning the nuts behind the wheel. Nats was great to hear over the broadcast, the knife fight was great. I was real sad when we found out Gigglehurtz wasn't going to have what he needed - the spoiler turned out super well and does a lot for even my STX car on super soft springs and 255 71r's. If I save up enough, I'll be out for shenanigans next year! Hi All. Jumping into the DSP realm. I will need to make the necessary changes to make it DSP legal (and hopefully competitive) this winter. Looking forward to getting out there in spring. I am throwing my hat in the ring. I am building a 2004 into DSP trim. I hope to have it ready for some testing / initial competition in spring. given that autocross is fairly easy on brake thermal loading, has anyone considered swapping the Flyin Miata NC front little big brake kit? The NC rotors save about 4# a piece vs RX8 sport rotors and the wilwood calipers save 6# each over even the NC calipers, which are much lighter than RX8 calipers. my estimate is that you'd save about 25# of unsprung weight off the front switching from RX8 sport brakes to the "NC LBBK"
My plan for the SM car has been the Flyin Miata NC front calipers paired with RacingBrake front rotors. Ok here we go. 2019 is off and running. 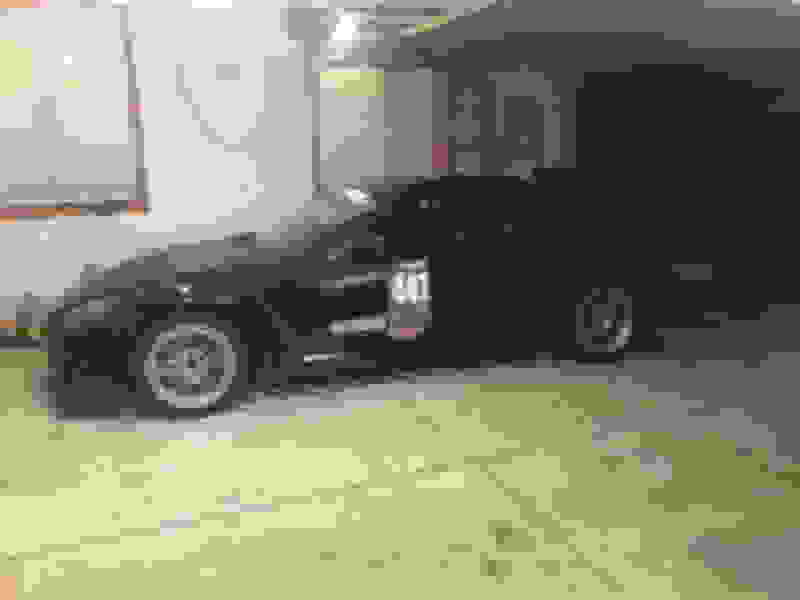 I have a Reny apart in my garage waiting for the weather to present a better temp to rebuild it, I have the car, I have a list of parts, I have a bit more research and math to pour through, AND I have questions. Can I use Ceramic in my engine rebuild or do I need Mazda OEM? I've been on the purple crack and it's driving my pick for DSP with this car. I realize I answered some of these myself, but more input is nice. I hope everyone's new year is running smoothly. My 2019 will be spent building, learning, and data collecting for a 2020 nationals campaign. Edit: my car doesn't have the oem plastics underneath and the oem lip is off the front bumper. Do I need the plastics to race in DSP? Can I build the front splitter up to wall off the lip or should I get a fresh bumper? Sorry everyone. I'm just trying to make it right the first time. I can't stand doing things over again. The porting allowance is to facilitate alternate intake and exhaust manifolds that have a differently shaped opening than stock. Porting, as the rotary community defines it, is not allowed. Only OEM seals are allowed. You do not need the underbody plastics. Technically your bumper should be complete, but nobody is going to protest you for missing small things like that lip. Everything John said, except (maybe) the part on the plastics. I remember looking into if I could swap our plastics for one of the aftermarket under trays (our plastics are in bad shape from so many cone hits before we had the front splitter on to protect them), and I remember thinking it wasn't legal for some reason. Feel free to fact check me on that as I don't have the rulebook open right now. However, the under tray plastics do help with airflow/cooling, so I would suggest you run them from a performance standpoint. Also, welcome to the class! If you can make at least some national events in 2019 (and preferably nationals too) I would recommend it. We brought my car out its first season in DSP, and learned some nationals specific setup stuff that helped us get faster the second year (well, at least the dry day ). Lincoln is different than any other site. Our car would work flawlessly at our local sites, but when we got on concrete the car was practically undrivable. Having setup time on concrete, preferably Lincoln concrete, will be helpful for the car's development, if you have budget/time for it. The clarification is solely that the washer bottle itself cannot be modified or removed. So yes, you would just mount a different container somewhere. We repurposed a Power steering fluid resevoir from i dont even know what car it came from. I'm not in DSP but my solution (after relocating the battery to the trunk) was to fab up a quick bracket that bolted in the battery box location and held the Epitrochoid reservoir (sorry, no pics right now and it's next door to the frozen wasteland of Hoth outside right now). If this is allowed then I've got some ideas. Thanks for all the input. It'll be a fun time I'm sure. I'm trying for AT LEAST Lincoln this year. Being stuck in northern Utah it makes for a tough time getting any runs on concrete. I basically have equidistant drives to either Cali or Lincoln for competitive concrete. It'll be tough but I'm up for the challenge. Looking forward to seeing more of you racers in the future. My car is a 2004 blue Unicorn I picked up for $1500. I also grabbed a spare 6 port reny out of a pic-a-part for $240 that is looking pretty good after tear down. I'll rebuild and hopefully have the car racing locally for the first half of the year. So... Who's going to Dixie? So I have a mind set that my race cars can be driven to and from events even mild daily use. With that in mind, what are the thoughts on clutches. I know general consensus here is mini twins, triple tilton for tamdrew iirc, but is a single plate a terrible idea for nats/prosolo launches? I was looking at Spec clutch 2+ and/or higher as an option. I plan on going with penske suspension from Anze so a tilton clutch is a little out of the budget this year. Is my mindset bad for this class? I know most DSP cars are trailer queens. I think shickane also uses(used?) his 8 as a daily. Hope your winters are warmer than mine. Won't be racing here for a long while yet. I've got a Spec mini twin and while I like it, it's not even close to daily material. The flywheel has more weight (and also inertia) than the aluminum and skeletized flywheels that come from Tilton or QM, so that's good for drivability in that regard, but the clutch material is aggressive and it is unsprung. Clutch effort is also quite high. I've thought about a Spec aluminum flywheel + Al pressure plate, sprung hub, and maybe an organic face? Some friction surfaces, like kevlar, don't recover if they are overheated, which would be bad. At least if you overheat an organic surface, there's a chance you won't have to replace it. I don't think there's really a clutch out there that can perform like a racing clutch, while being long-term tolerable for stop-and-go traffic. We are actually running a twin not a triple. We initially thought our clutch problems were heat related, then found out it was an input shaft issue, so went back to a twin and have been happy ever since. Tilton makes a great product, I highly recommend them. You do have to lap the input shaft/hub splines of most of these tiny multi disk clutches, as a warning. The entire point of going to a Tilton was to drop as much weight and diameter as possible while still being able to spin the tires on a ProSolo launch. The much lower MOI lets the car accelerate faster. With the low power of the RX8, there is no other reason to upgrade the clutch other than to lose weight... It's not like we need torque holding ability! The setup we have from Tilton has stock, or possibly lighter than stock clutch pedal feel with very smooth engagement... but it is a race clutch and is a nightmare on the street due to the aggressive bite, small engagement window, and such low MOI that it'll stall very easily until you're used to it. We are pretty good at driving it around paddock now, and use a winch to get on the trailer. A good twin disk will actually be easier to drive than a same size single disk. The twin lets them have a lighter pressure plate while still maintaining the same torque holding ability, which translates to a lighter pedal effort. Also, the twin is more heat tolerant than a single. And finally, there is such a thing as too low of MOI such that you might not be able to actually launch on concrete. I'm not sure where the cutoff is, but I'm guessing a single 7.25" or a 5.5" twin even might not be enough. We are at 8k rpm to spin the tires on concrete with the 7 1/4" twin, to give you an idea. 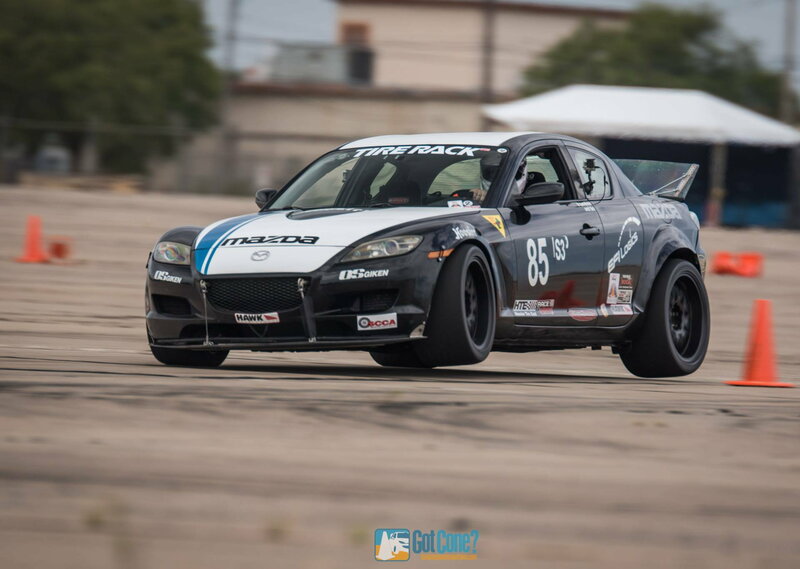 Two out of the top 3 at Dixie were RX8s, would have been a 2/3/4 line up if I had not been dumb on day one. The new owners of John V's BMW are going to be hard to beat though, Mark hasn't had much seat time in the car yet. Nice job on a new build. Mark C. is extremely fast, as he comes up to speed in that car I think he'll be a tough competitor. As the military has seen fit, my summer was planned out for me. I would only have maybe 3 events of asphalt seat time leading up to nats so I think at this point I'm going to scrap my original plans to go this year and focus on building and data gathering. I have the new engine almost together and the penske set coming in soon but it looks like I'll barely get through shakedown and dial in runs before I'm off. Very unfortunate as I was hoping to meet some of you awesome people. Thanks for the answers to my previous questions too. It was more than helpful. Good luck with your seasons and I hope the rain and breaks stay away. I'll post updates on my own progress when possible. Have you guys been able to just swap ball joints in the control arms? or is a fresh control arm the only path forward? We just did new arms - couldn't find any ball joint replacements. Technically we haven't had a failure yet (knock on wood), but we wanted to start with fresher arms than 90k mile ones. You could go down to the 11.9" dia. standard suspension front rotor size to cut weight further than any of the other RX8 Sport Suspension kits, but it will be a custom deal.